Powerful Signal provides solutions to meet NFPA & IFC building codes. Commercial indoor cellular signal boosters, working in conjunction with public safety systems, play an integral role during emergencies. 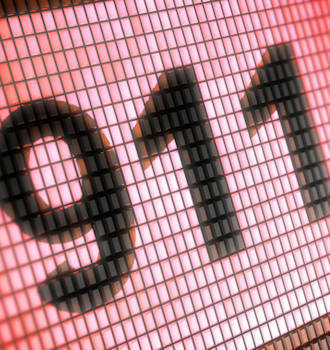 A commercial cellular repeater allows the public to initiate a 911 call and communicate with emergency personal before and during an emergency event. The need to implement both a broadband cellular repeater network and a public safety system has become vital for most buildings. First responders must be able to communicate effectively while deploying teams in an emergency situations. A public safety communications system is almost always required as a prerequisite for most new holdings before receiving an occupancy permit from state and local authorities. Many older buildings of significant size are now also being required to retroactively install public safety distributed antenna systems (DAS) for fire, medical, and other situations when emergency professionals need to use wireless communication. The building codes and other requirements governing public safety DAS systems often vary between jurisdictions, which can lead to confusion and delays for building owners, contractors, and developers. Knowing how and where to turn for expertise and information will save you time and money when selecting an effective and reliable public safety DAS system. What are NFPA and IFC Standards? Codes set by the National Fire Alarm and Signaling Code (NFPA) and the International Fire Code (IFC) are widely accepted standards for public safety DAS. However, the requirements can vary drastically according to the requirements of the local jurisdictions. 99% wireless coverage in critical areas such as fire pump rooms, exit stairs, exit passages, and elevator lobbies. 90% coverage in all non-critical areas. Wireless signal must be on the required spectrum designated by the local authorities. A 12-hour battery backup power supply source to keep the system operational during power outages. A monitoring system that alerts you to system malfunctions or power issues. Working closely with a qualified public safety DAS integrator will insure an adequate and cost-effective on-site wireless communication system for first responders. Need help figuring out your public safety DAS requirements? FirstNet’s mission is to deploy, operate, maintain, and improve the first high-speed, nationwide wireless broadband network dedicated to public safety. This reliable, highly secure, interoperable, and innovative public-safety communications platform will bring 21st-century tools to public safety agencies and first responders, allowing them to get more information more quickly, and helping them to make faster and better decisions. Each state may opt-in or opt-out of the FirstNet radio access network (RAN). If a state opts-out, it must deploy, operate, maintain, and improve its own RAN. FirstNet-ready equipment meets the standards and frequencies required to qualify for FirstNet deployment. A public safety DAS system is not a replacement for a commercial cellular booster system; these systems operate separately and under different FCC guidelines. In new buildings, both commercial and public safety systems can be installed at the same time, saving you time and money. There are a few things you should know about public safety DAS in order to make an informed decision about which system will best meet your needs and offer the best possible solution in the event of an emergency for first responders. The National Electrical Manufacturer Association (NEMA) specifies that communication equipment most be watertight, waterproof, and “exclude at least 65 GPM of water from a one-inch nozzle delivered from a distance not less than 10 feet for five minutes.” All equipment enclosures for public safety communications must meet NEMA’s enclosure standards to minimize exposure and damage in the event of an emergency. Your system needs to include monitoring alarms that notify you of power or battery failure, antenna network malfunctions, and low-battery capacity for backup. The level of monitoring required is dictated by the fire marshal in your local jurisdiction. NFPA and IFC both require −95 dBm signal strength within the coverage area of the system across all frequencies, including high-frequency VHF. This may require a greater number of interior antennas for 700 or 800 MHz to achieve the proper amount of coverage and signal strength. Your system should accommodate the need for frequency updates. This will be particularly important for those states who opt-in to the FirstNet program when it eventually rolls out.